Compensation was provided by DOVE ® Dark Chocolate via MomTrends. The opinions expressed herein are those of the author and are not indicative of the opinions of Dove or Momtrends. August is a busy month in the Love Bakes Good Cakes house. School will be resuming – which is always fun readjusting to schedules and routines (note the slight sarcasm) … and Elijah will be turning 18 years old. As I look back over 18 years, I can’t help but think how fast it has come and gone. They say don’t blink …… because it seems like life happens in a blink of an eye. Man, it does. I really don’t want the lazy days of Summer to end. To be honest, I like sleeping in until 6 or 7 am. Y’all know 5 am comes too early. 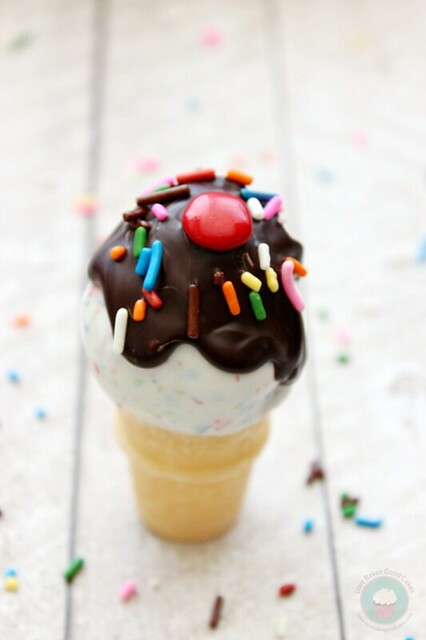 A few years ago, I had some Ice Cream Cone Cake Pops at a party so I thought I would try to recreate them! They’re perfect for birthdays and Summer parties … and best of all?! They don’t melt and drip all over your hands!! 🙂 Plus, people love to talk about them! They are kinda cute, don’t you think?! Prepare and bake the cake mix using the ingredients listed on the box. Allow cake to cool completely. Crumble the cake into a large bowl. Add about half of the can of frosting and mix well. 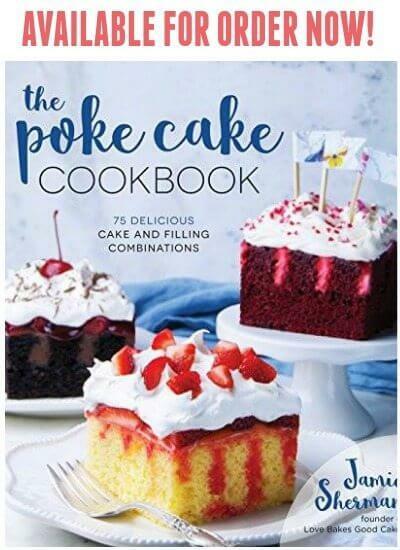 You want the mixture to stick together without being “goopy.” You may need to add more or less depending on your cake and preference. Using a small cookie scoop or rounded tablespoon, make 15 cake balls and place them on a wax paper-lined baking sheet and refrigerate for about an hour. 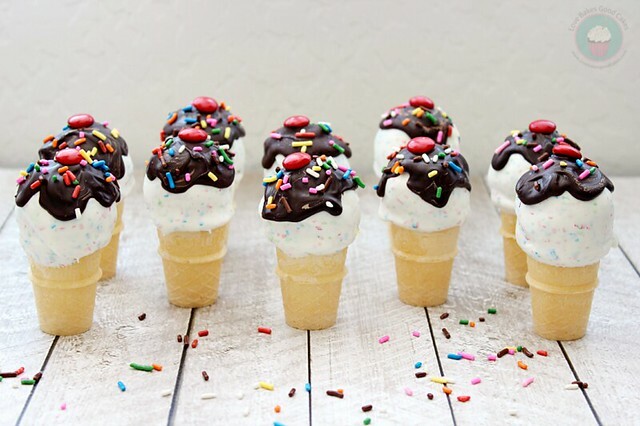 With the remaining cake mix, stuff 15 ice cream cones and set aside. In a microwave-safe bowl, melt the candy melts according to package directions. Dip just the top of the open end of the cone into the melted candy (carefully, as not to lose any of the cake inside) and immediately dip the bottom of one of the cake balls into the candy melts. 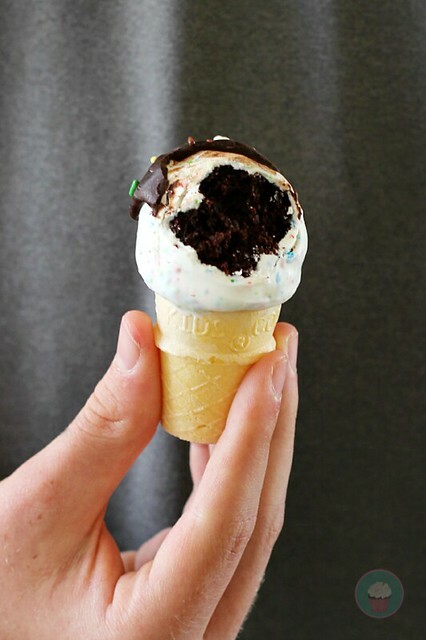 “Glue” the cake ball onto the top of the ice cream cone and set aside to completely set. 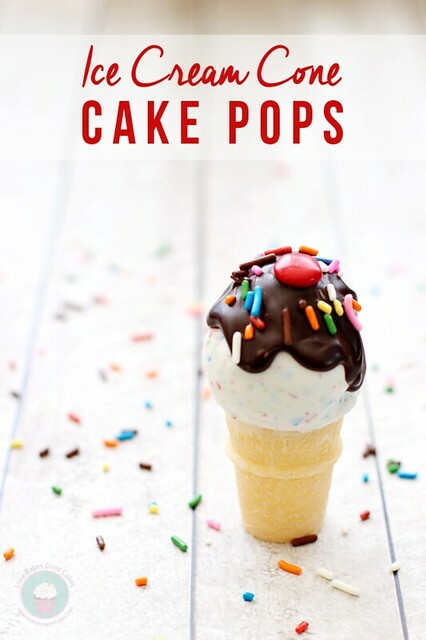 Repeat with remaining cake pops. 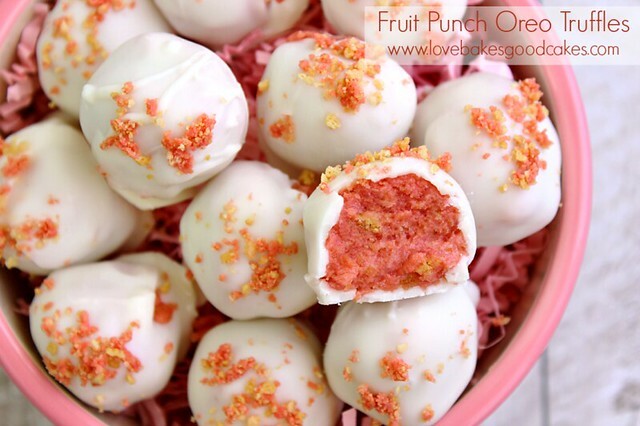 Once the cake pops have set completely, re-melt the candy melts in the bowl and dip the cake ball into the candy, completely covering the cake ball. Allow excess to drip off. Set upright and allow the candy to harden. Repeat with remaining cake pops. Place the DOVE Dark Chocolates in a microwave safe dish and microwave for 30 seconds. Stir. Microwave in 10-15 second increments until the chocolate is smooth and completely melted. Spoon a small amount of the chocolate over the top of the cake pop. Using the back of the spoon, form the chocolate to look like chocolate syrup. Immediately insert a red button candy on the top and add a few sprinkles. Set upright and allow the candy to completely harden. Repeat with remaining cake pops. For more great Dove Dark Chocolate recipes, visit the Dove Chocolate website – or follow them on Facebook or Twitter. Love these! What a cute idea; can't wait to try it out! 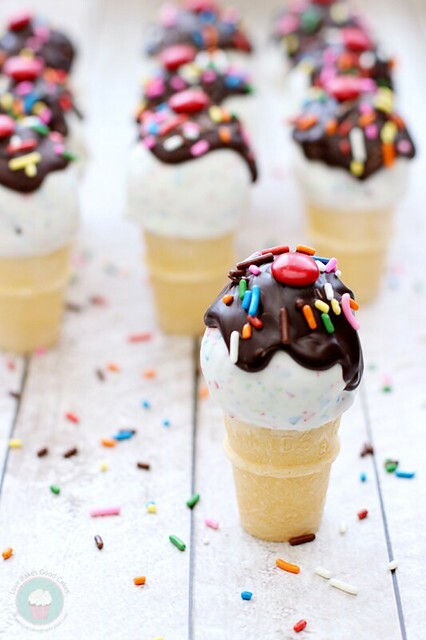 These are almost too cute to eat! These are too adorable! I love them. They look so good too! Thanks for sharing at Mz Helen's Full Plate! These are so cute, they don't even look real! Great job! I would be honored if you would come share this awesome tip at Pin Your Friday Favorite! The party goes live tonight @ 10pm EST. These are FABULOUS, Jamie! What an adorable idea!!! Those are almost too cute to eat! What a clever idea! I bet they were a huge hit! Thanks for linking them up with us at Foodie Fridays…we're happy to have you join us! Very nice, Jamie. Thanks for sharing at Foodie Friends Friday! Just the cuties thing. Can't wait to share this with my little baker, she might want to make it for her birthday. Pinned. so so cute!! I love them!! 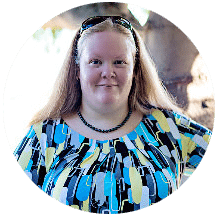 YOU are featured today over at Nap-Time Creations for the party features.. come on over and check it out!!! These are SO cute! I love the idea so much. Very cute! You've done a fantastic job decorating them, Jamie! 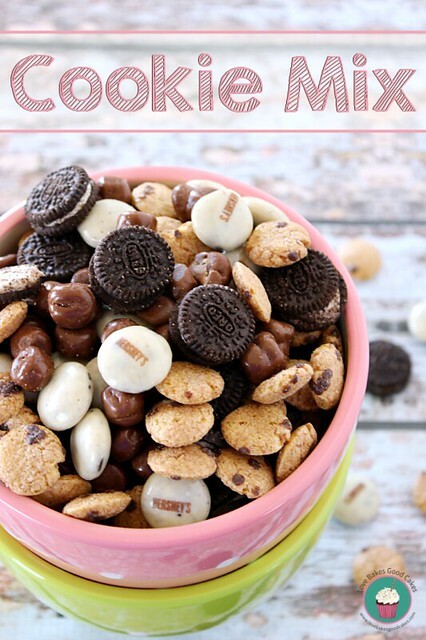 I've always wanted to make these, but for some reason never have. Thanks for sharing with See Ya in the Gumbo. The party will resume tomorrow. Adorable! I don't think I've ever seen mini cones in the store. Where did you purchase yours? Thanks! Can I make these a day ahead? Will the cones get soggy in the fridge overnight?